Feeney accessories include lag screws, washer nuts, hex nuts, nylon insert locknuts, cap nuts, and protector sleeves for wooden post railings. 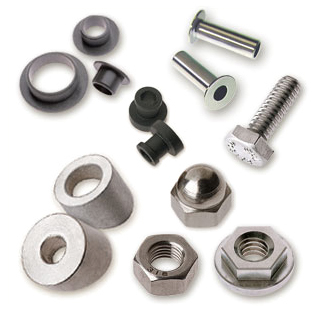 Colored end caps, or stainless steel end caps for finishing off railing jobs, as well as isolation bushings, retaining washers, flat washers and beveled washers for angled cable termination. Tools include, crimping tools, cable cutters, quick release tools, tension gauges and lacing needles.